Size: approx. 8-10 mm. Photo: 09/01/11, 10 pm. 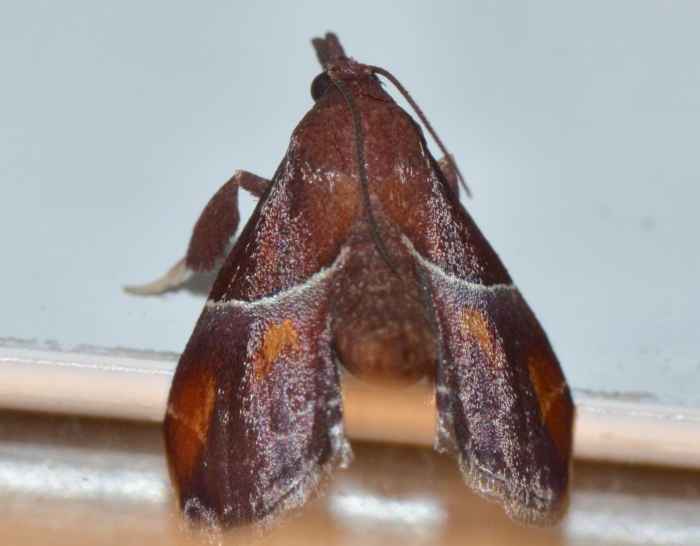 This small moth is Penthesilea sacculalis. It can be found in the Southeastern US. The genus has only one species in our area. In Greek mythology, Penthesileia was an Amazonian queen.